The south stainless steel market of Xinghua city, abuts on the Class I Highway in the east, adjoins the Jinyan expressway in the west, enjoys a superior geographical position, so the land and water transportation is very convenient. There are more than 1000 stainless steel raw materials major dealers now in the whole town, ” the south stainless steel market in China ” costs 10 million yuan to built up, that covers an area of 50,000 square meters, consists of more than 800 stands, which have complete set and multiple functional. There are more than 400 owners in all at present, more than 1200 employees, the throughput is up to 80,000 tons every year, turnover over 500 million yuan. 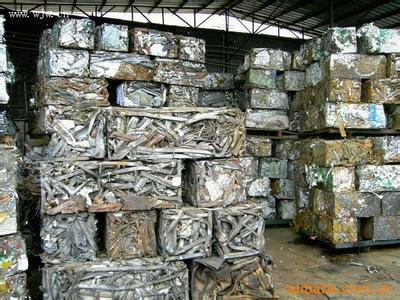 It has become the domestic biggest waster stainless steel raw materials distributing centre. Dainan non-rusty products sprout on the sixties, develop on the eighties, and rise abruptly in the 1990s. It has become the pillar industry of town though 40 years’ development.At present more than 300 sweeping Private stainless steel enterprises in the whole town,and the annual production reached 200,000 tons in 2003, accounting for 1/7 of the national annual production, it has formed the chain of sale from materials procurement of stainless steel, smelts, rolls to final products. The products include the steel wire of stainless steel, weld silks, network, cloth, rope, manage, nail, bring, roller chai, anchor chain, standard component, casting one, pendan, excellent materia, different section steel, chemical machinery, pharmacy machinery, food machinery, aviation spare part, environmental protection, etc. It has become the famous stainless steel products production base, the well-known ” township of Chinese stainless steel “. In order to give full play to the advantage of stainless steel in Dainan, organize and standardize the purchase and supply of the raw materials, elongate the industry chain, Dainan town government invested in and build the stainless steel market in 2000. The first stage of the project of main market covers an area of 50000 square meters, gross investment is more than 10 million yuan, the equipment forms a complete set, multipe functional, and norm system in field. Relevant functional departments stays to serve vastly and offers the formality of operating legitimately in accordance with the law, and has created a good managing environment in both hardware and software. The stainless steel market building up, has not merely offered the raw materials continually for the stainless steel product of the whole town, and gradually become the distributing centre of the stainless steel material .